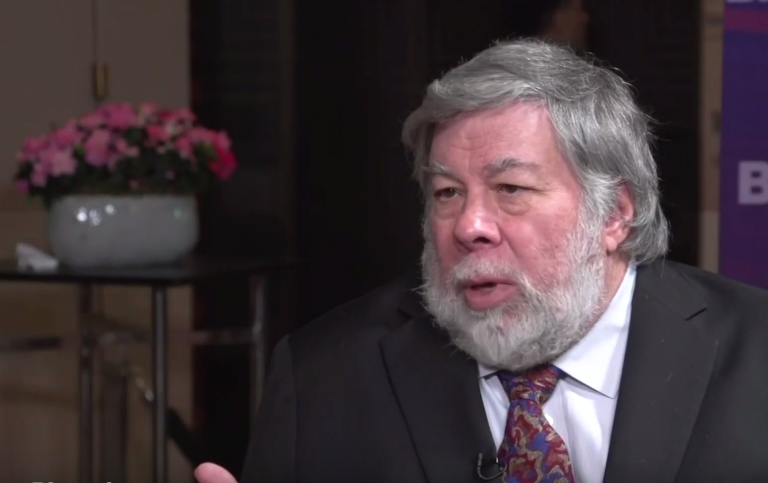 Apple Co-Founder: "I Really Want a Folding Phone"
The future of tech could result in more pocket space as Apple co-founder Steve Wozniak sang the praises of the iPhone maker’s technological advancements with mobile devices, but cited one missing feature: the ability to fold. Wozniak may have been alluding to competitors like Samsung Electronics Co. and Huawei Technologies Co revealing phones that can fold–the Galaxy Fold and the Huawei Mate X, respectively. For investors looking for a suitable tech ETF play to capture potential future Apple growth, the Invesco QQQ (NasdaqGM: QQQ) tracks the tech-heavy Nasdaq-100 Index. Microsoft (MSFT), Apple Inc (AAPL) and Amazon (AMZN) combine for about a quarter of QQQ’s weight. Wozniak was effusive in his praise of the direction that the iPhone maker is heading. Apple is looking to explore other opportunities outside its core business of mobile devices–the iPhone in particular. Apple might want to consider upping the ante on its Apple TV as Wozniak still prefers using a Roku player.